With our up-front approach to moving we want to make sure that your moving day goes as planned. From planning and packing to moving, we’re probably like you in that we don’t like any surprises. Our highly trained movers and sales staff will give you the utmost care and personal attention in order to make your moving experience as easy as possible. We know people have different needs, and we offer a menu of moving services with choices for everyone. 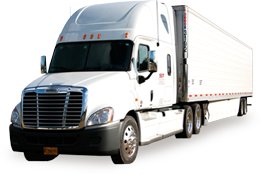 Services include local, national and international moving services which are divided in residential and commercial moving. We know our customers depend on us to provide the most professional, trustworthy moving services available. We bring the equipment and know-how to get the job done. This is why thousands of families have put their trust into Movage for all of their moving needs. You can too. Residential relocation is our specialty. A successful move requires proper planning and preparation. Every move has unique needs and requirements. The moving stages we recommend are designed to properly assess every requirement you might have before the moving process begins. You will begin with a free estimate from our experienced relocation consultant either in person with an in-home estimate or by phone, fax, or e-mail. We’ll take the inventory list of all items to be moved and discuss questions and concerns such as: insurance, storage, packing, valuables, crating, etc. We will then give you a competitive price based on your requirements. If you are packing your own boxes we will arrange for a delivery of all packing supplies at your convenience. Prior to your move we will confirm the entire inventory list and go over all special services that need to be performed on the day of the move. If you request Movage to do any or all of your packing, you can be assured that all of your belongings will be packed with expertise and care. Packing and unpacking of electronics (TV, stereo, lamps, etc. ), mirrors/pictures and placement according to your specifications.